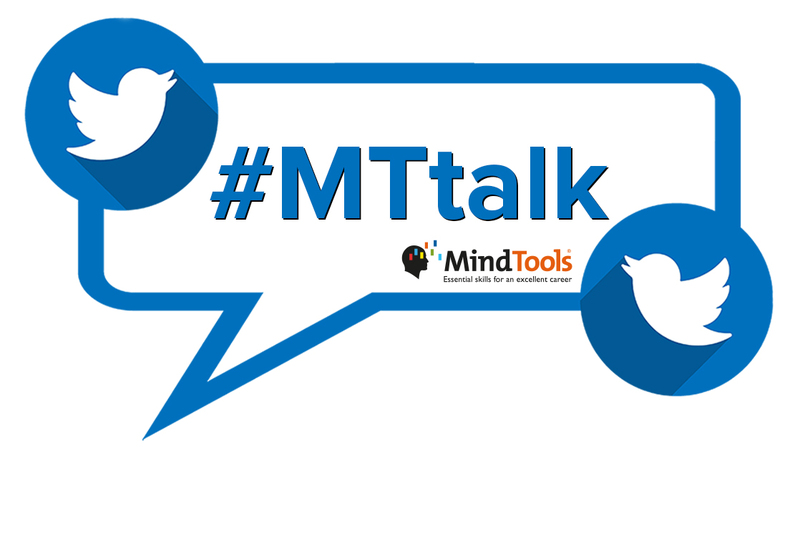 #MTtalk Review: Am I Enough? Can You Trust Your Beliefs? All of us want to trust what we believe, but what if our beliefs set us up for suffering? And what if we can’t trust what we think about ourselves? If you tend to be a perfectionist, to overwork, have an intense fear of failure, or undermine your own achievements, you might suffer from the belief that you’re inadequate. You may believe that you’re not good enough, not perfect enough, and not worthy of your success or achievements. In my opinion, impostor syndrome is a type of anxiety, and anxiety is often the byproduct of a compelling need to be in control of your life. You’re afraid of being found out as a “fraud,” and losing your job. If that happens, you’ll lose control of your career and your life. The fear of losing control in this way ignites an even stronger desire to be perfect, to work harder, and to achieve more. Sure, this could benefit to your career in the short term, but it’s not sustainable. Trying to live up to an image that you’ve created of how you should be will almost always leave you feeling that you’re not enough. Why? Because the image that you created isn’t real, and living up to something that isn’t real is impossible. In the end, it will leave you feeling depleted and powerless. 1. Learning to live in gratitude. First, acknowledge your fear of not being enough. Second, thank your fear for not allowing you to become complacent and mediocre. Third, silence the voice in your head by acknowledging that you’re doing your best, and not confusing it with having to be perfect. 2. Chasing purpose, not reward. If you constantly chase reward, and reward isn’t forthcoming in the way you think it should be, it could leave you feeling inadequate. Focus on purpose-driven goals, and pursue them with passion, and you’ll find that you don’t have to be a perfect person or top achiever to be a change-maker. 3. Practicing awareness. Learn to become aware of extreme thinking patterns, such as the thought that a small mistake will ruin your reputation. Stop the feeling before it grows by asking yourself whether you can trust that specific belief, and ask how well it’s serving you. By replacing your default negative thinking with a more rational approach, you’ll slowly but surely silence your inner critic. 4. Talking to someone who believes in you. If you feel you’re not enough, confide in someone who knows you and believes in you. Accept their words into your life and heart, and allow their kindness and truth to uplift you. Q1. What does “inadequacy” mean to you? @KobusNeethInst: Inadequacy might be feeling that you don’t have all the answers you think you should have. @We_MakeItReign: Inadequacy is ultimately a state of mind. Lacking the confidence, rendering you unable to deal with certain situations or conquering a certain challenge. Feeling like you aren’t good enough. Everyone has the ability to be adequate. Q2. What situations or tasks cause you to feel inadequate at work? @TwisterKW: A feeling of not having a voice or not being heard. Sometimes new projects or new partners. Lack of trust. Or a failed project. Sometimes not even a failed project but a failed piece of a project. Hmm. Does resilience fit in here? @JKatzaman: You feel inadequate at work when you look around and think everyone else does everything better than you. Q3. When have your feelings of inadequacy caused you to feel like an impostor? @MicheleDD_MT: Sometimes around male executives. There’s a feeling I get that I just don’t measure up, and that I am not part of their club. @Midgie_MT: When there have been lots of changes and I am still getting to grips with new ways of doing things. Wonder whether I can actually do it. @ShereesePubHlth: When I haven’t been mindful of my clients’ needs or just disengaged, I get caught off guard. This makes me feel like an impostor. Q4. What can you do to counter feelings of inadequacy/impostor syndrome? @s_narmadhaa: I think a support group helps here. It’s awkward to receive praise when we think we don’t deserve it, but with the right team around us, we’ll learn to accept it with grace and modesty. @thevijaymahajan: I meet my standards for adequacy better than I used to, but I’ve also lowered those standards so that they’re meetable. Sometime the light’s all shining on me; other times I can barely see. Q5. What does “authenticity” mean to you? @ELL_experience: Authenticity is when you do what you feel is right, even if you’re doing it alone. @BrainBlenderTec: It means being the same in public as behind closed doors. Q6. Do you ever feel forced to present a certain image in order to get ahead? @temekoruns: Image and perception go hand in hand. If your image is not intact professionally, it is perceived you are out of your league. @TwinkleTutoring: Yes! It is diminishing though! I’m learning that being me, my authentic self, is actually my USP. And it is a very positive thing. The more I accept me for me, the easier it is to become the person I was aspiring to be! Q7. Does the phrase “fake it until you make it” resonate with you, or not? @Yolande_MT: If you fake it and you’re caught out before you make it, your career might take a huge knock. Don’t fake it. Crawl, then walk, then run. @JusChas: It disappoints me knowing how many people do this. You are taking away an opportunity that someone else deserves more than you due to their experience and expertise in matters. Q8. Can you ever be anything but authentic? @sittingpretty61: Being authentic does not mean indulging oneself in all your impulses and to hell with all others. It demands you hold yourself accountable and human despite the impulse to disregard cooperating and communicating with others in a meaningful way. @harrisonia: Yes. Sometimes the way we were raised and the type of communication allowed, we may not have shown our true selves because it would not have been accepted by family members or others close to us. Q9. How do you think others see you? And does it matter? @SaifuRizvi: It does matter if you know inside your heart that their perception about me is right! @Ganesh_Sabari: What others think about me is none of my business. I am what I am. I am who I am! When you tell me who I am, you are indirectly and factually telling me who you are! Q10. What can you do to help yourself and others feel “enough”/adequate? @jeremypmurphy: Step back/reflect on how many people depend upon us for help/support. Then think of how many each of us could help at full capacity. Touch others with inspiration/positivity daily. Give selflessly without counting the cost. Be strong. We believe in you! Do you? @temekoruns: Inadequacy can be remedied by, a) not comparing your life to others, b) using strengths more, c) being around those who empower. Ideally, everybody in a workplace would feel that they’re “enough.” To help them feel adequate, they must be able to reach their potential. How do you feel your leaders can best help you unleash your potential? Click here to cast your vote in our poll.